Laugh IT Out: You Can Be Rich - But Are You Smart ? You Can Be Rich - But Are You Smart ? 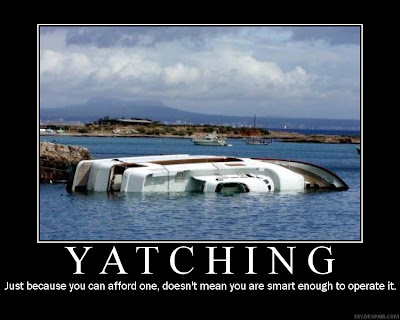 The irony of questioning someone's intelligence in a poorly made poster, while misspelling "yachting", is much funnier than the poster itself. I guess humor is everywhere.